Swift-Tuttle passed near Earth in 1992, and will not return until 2126, Its orbit period is 133 years. Short period comets, those which complete a full orbit in under 200 years, originate from an icy domain known as the Kuiper Belt, located 30 to 55 AU from Neptune’s orbit. The comet’s nucleus measures 16 miles in diameter, twice the size of the one that crashed into Earth 66 million years ago and wiped out the dinosaurs. Lucky for us, Swift-Tuttle will not reenact a similar fate. Between now and as late as February 20th, Mercury, Venus, Mars, Saturn, and Jupiter will appear together about 45 minutes before sunrise. The viewing of all five naked-eye planets at once hasn’t occurred for a decade, making this a wonderful planet-hunter’s event not to miss. For best viewing, look to the southeast skies and behold! A cluster of planets. The alignment of these planets in the sky is truly random. No unusual orbital patterns or arrangements caused this cluster. It’s just a result of the planets’ elliptical orbits around the sun and how they occasionally align from the perspective of Earth’s night sky. 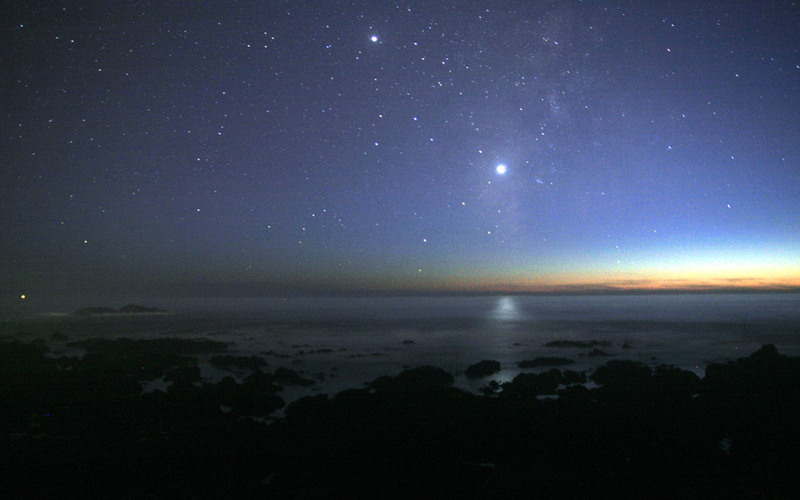 Sunrise holds the glimmering gem of the planet Venus this year from September to October. As the official beginning of autumn approaches, the magnitude of the planet will only increase along with the sun rising later in the morning. Its intense brightness has caused some confusion among many spectators of the dawn sky. Many mistake the brilliant planet for a UFO or some other phenomena. This is false. Jupiter and Venus draw closer in the night sky as the second conjunction occurs between the two planets for 2015. The luminosity will instill wonder and awe into sky-watchers as Venus passes into the lower right region of Jupiter, measuring approximately ten times brighter than the massive planet. 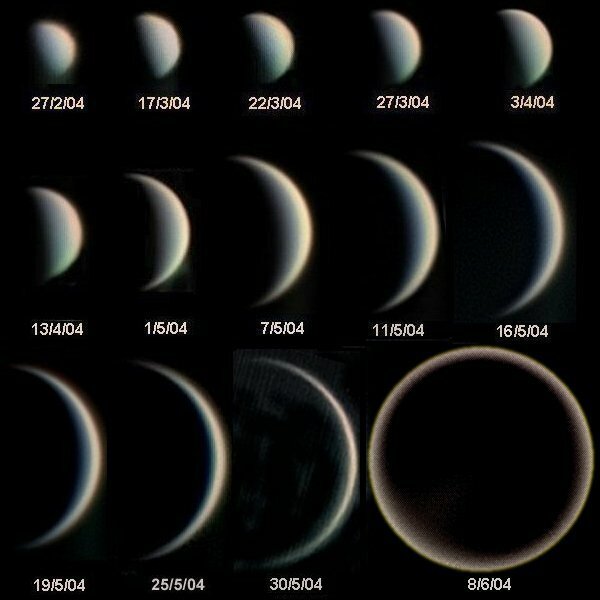 With the aid of binoculars or a telescope, a crescent can be viewed across the surface of Venus. By November, it will appear similar to a half moon. The planet will continue reflecting stages comparable to those we see on the moon and conclude December in the form of a gibbous disk. The combination between Venus and Jupiter shining front stage in the night sky makes this autumn exceptionally wonderful for sky-watchers. 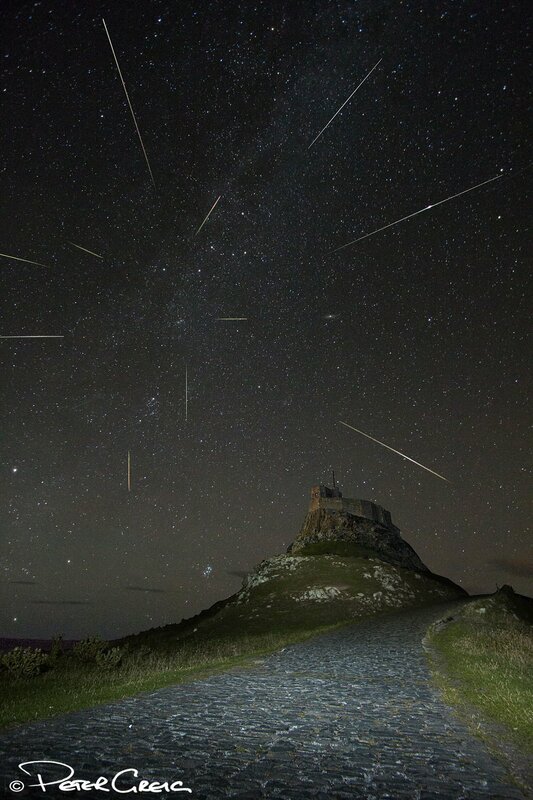 This August, the Perseid meteor shower dazzles dark skies. With the shower’s peak on the 12th and 13th, it’s time to unwrap a nice blanket, choose a clear stargazing spot, and take a moment and simply look up. Considered by many as the best annual sky watcher’s event, we can thank Earth’s bombardment into the tail of Comet Swift-Tuttle. NASA’s Jet Propulsion Laboratory predicts 100 meteors per hour may scatter the sky, enough to give many wishes upon “shooting stars”, a term widely used yet completely incorrect. If stars flew into the Earth’s atmosphere at the distance and speed of a meteor, the planet’s crust would fry and the atmosphere dwindle away as the first “star” closed in on us. With no atmosphere to shield us, the charged particles of the sun and the incoming star would obliterate all life on Earth. Perhaps a “shooting meteor” substitutes better. 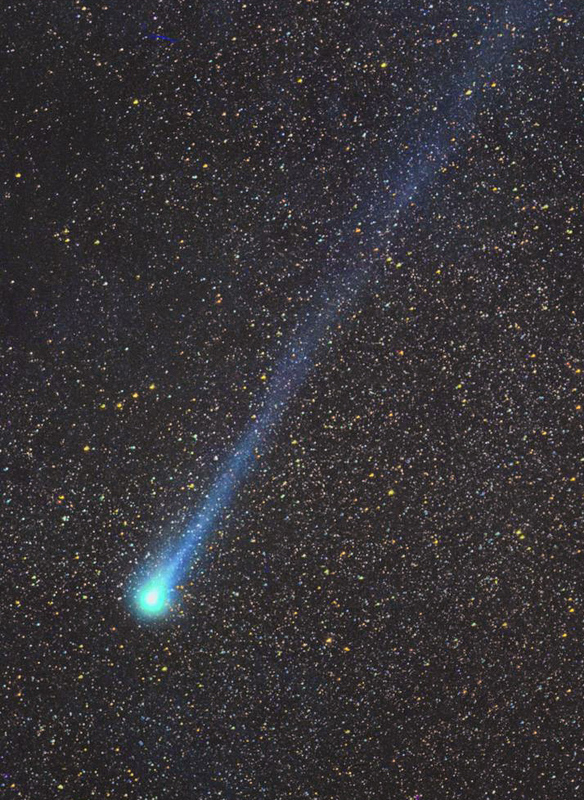 Comets are similar to giant cosmic snow cones composed of frozen gases, rocks, and dust particles. When approaching the sun during its orbit, an atmosphere envelopes the comet, known as a coma, potentially measuring thousands of kilometers in diameter. Theatrically, comets may have delivered the ingredients to life on Earth millions of years ago in the early stages of the solar system. 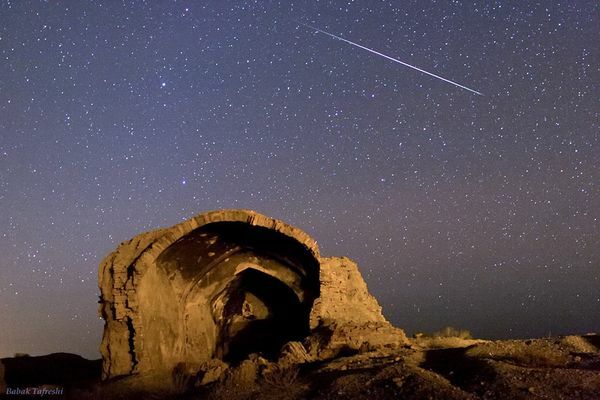 Swift-Tuttle’s space debris is the source of the meteors we see illuminate the night sky. Swift-Tuttle passed near Earth in 1992, and will not return until 2126, with an orbit period of 133 years. Short period comets, ones which complete a full orbit in under 200 years, originate from an icy domain known as the Kuiper Belt, located 30 to 55 AU from Neptune’s orbit. The comet’s nucleus measures 16 miles in diameter, twice the size of the one that crashed into Earth 66 million years ago and wiped out the dinosaurs. Lucky for us, Swift-Tuttle will not provide a similar fate. Meteor showers receive their names from the closest constellation that they pass through. 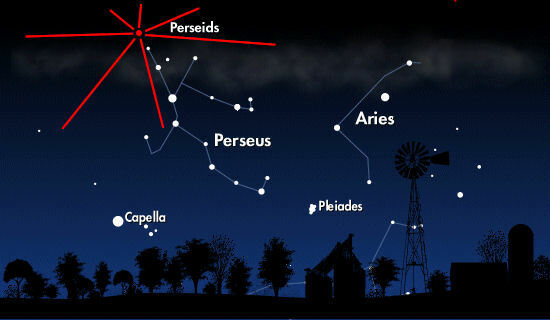 To locate the Perseid, look to the constellation Perseus in the Northern Hemisphere. 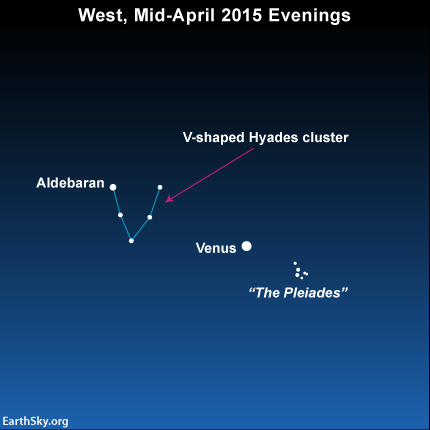 During the hours after sunset, the dazzling planet Venus will line up between the Pleiades star cluster and the Hyades cluster. 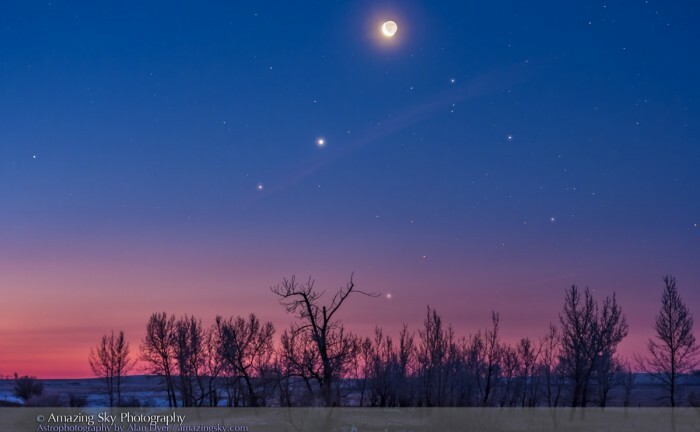 Look to the western sky in the northern hemisphere to witness this lovely alignment. Venus is nearly unmistakable in the sky, as it appears to be the brightest object. The Pleiades cluster, also known as the “Seven Sisters” dimly shines in comparison. The Pleiades cluster formed nearly 100 million years ago from a collapsing cloud of interstellar gas. It is a relatively young cluster, with some stars five times the size of our sun. Venus sails through the Pleiades once every eight years. So grab your binoculars, hope for clear skies, and check out this awesome mid-April event! 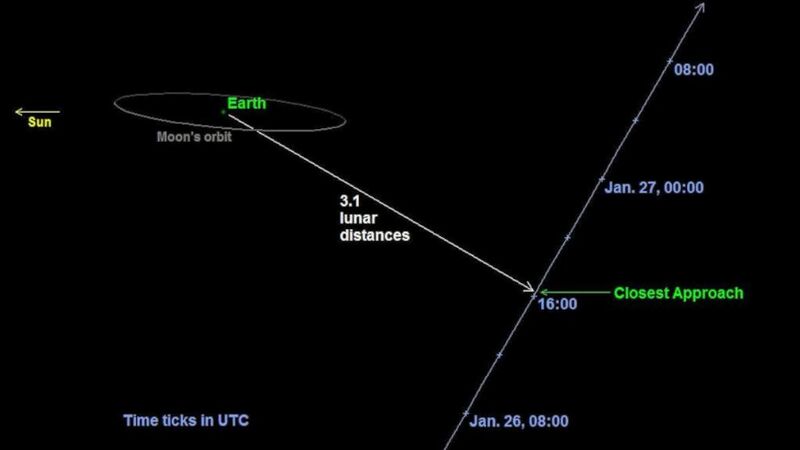 A unique event occurs today and tomorrow as asteroid 2004 BL86 flies by the Earth. Traveling at a safe distance of 1.2 million kilometers away, there is no need to fear of any impact dangers. Measuring nearly 1,800 feet, this asteroid is comparable in size to two cruise ships! What makes this even more exciting is this asteroid won’t flyby earth again for another 200 years. So grab your binoculars and telescopes because you’ll need them in order to view this object. Tonight at 7:44pm EST, look near Jupiter and the star Procyon and you’ll catch a moment with this near-earth asteroid. Sorry that our readers in New England will miss out on this awesome event, and best of luck to them in this incredible snowstorm. Jupiter’s moons of Io, Castillo, and Europa will be the focus of many astronomer’s telescopes this Friday night into Saturday morning. 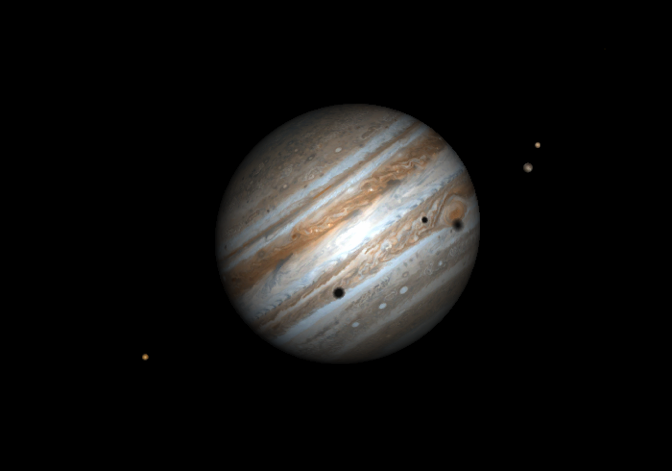 A rare triple shadow transit is upon us, and won’t be again until December 30th, 2032! A shadow transit is when a moon passes in front of Jupiter and the sun casts the moon’s shadow onto the stormy clouds of the planet. A triple shadow transit occurs when three of Jupiter’s moons undergo a shadow transit; in other words, there will be three shadows cast upon Jupiter’s stormy atmosphere! Expect to be up late to see this astronomical event since peak of the transits occurs from 1:28 – 1:52 a.m (EST). This is a must see event for all astronomers. Lets just cross our fingers for good weather! During the early hours of dawn on Wednesday, October 8th, occurs a lunar eclipse. Though visible to all in the red-shaded region on the picture above, the extent to which observes can see the eclipse varies. Those located in the dark red region on the map will see the eclipse from start to finish. 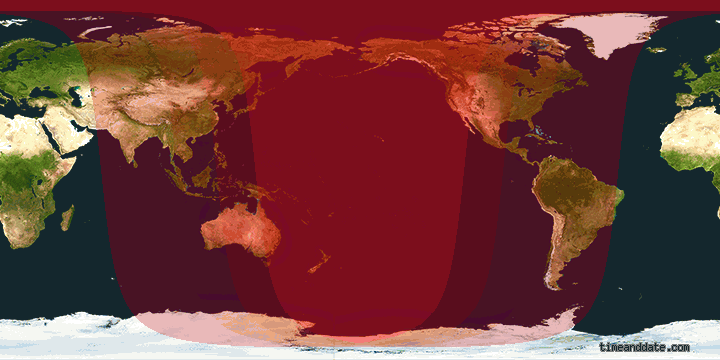 However, viewers situated in the light red regions to the west will see the eclipse until sunset; viewers in the light red region to the east will see the eclipse until sunrise. Gather family and friends, take out a blanket, and look directly overhead into a clear, night sky to view this year’s Perseid meteor shower. 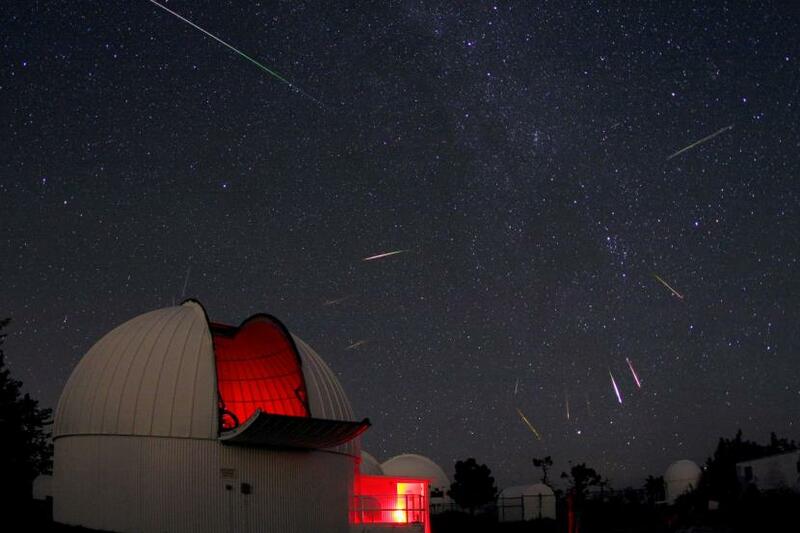 This fantastic display of lights is one of the brightest meteor showers during the year. However, the lunar cycle may interfere with the quality of viewing. The waning Gibbous Moon will create difficult observing during the nights of the Perseid meteor shower. Nevertheless, this is an annual event not to miss! On Monday, March 17th, at noon (EST), a team of scientists will reveal a new, major discovery in the field of astrophysics. There are no known details about this discovery, so we must wait in suspense! There will be press coverage at the Harvard-Smithsonian Center for Astrophysics to share this discovery with the rest of the world. 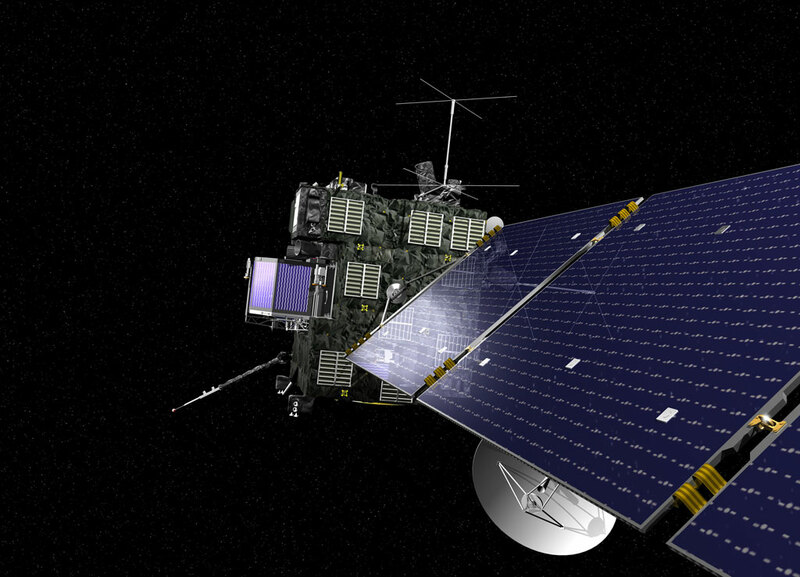 On January 20th, 2014, Rosetta will “awake” from its deep sleep since 2011. Imagine sleeping for three years, and waking up only to continue the first ever cosmic race, closer to your target than ever (roughly 9 million kilometers). Sounds incredible, right? But wait, there’s more! Not only is Rosetta going to eventually catch up with its target, comet 67P/Churyumov–Gerasimenko, it will also attempt to land on the comet, gather information, and take a nice long cruise around the sun aboard 67P/Churyumov–Gerasimenko. This is a ground-breaking process since it will be the first time humans have landed and collected data from a comet. 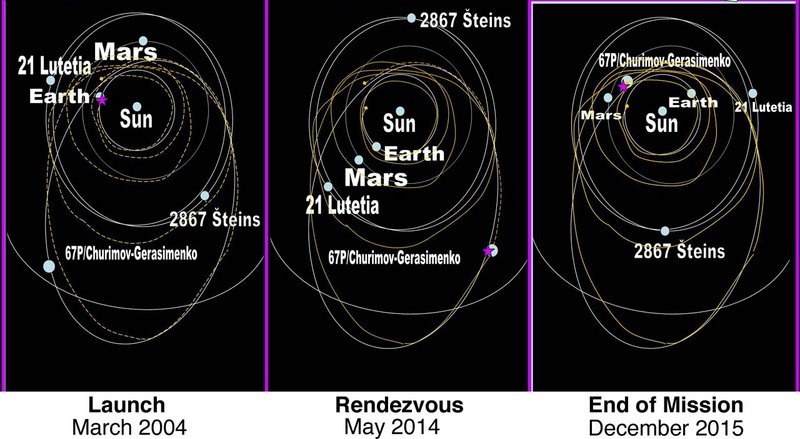 A diagram of Rosetta’s eleven-year path. Another potentially ground-breaking astronomical event for the teens of our generation to witness! On Sunday, January 5th, Jupiter will be shining bright all night. The planet will be in opposition, meaning it is directly opposite of the Sun. 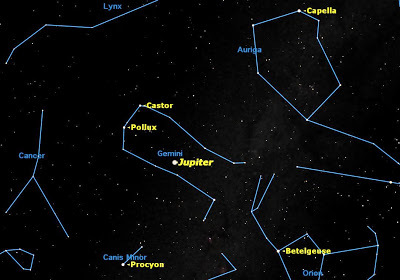 This event happens once a year (every 13 months) and this year Jupiter will be visible in the constellation Gemini. The opposite of an opposition (lots of opposites!) is a conjunction. That is when the Sun is directly between the Earth and Jupiter. 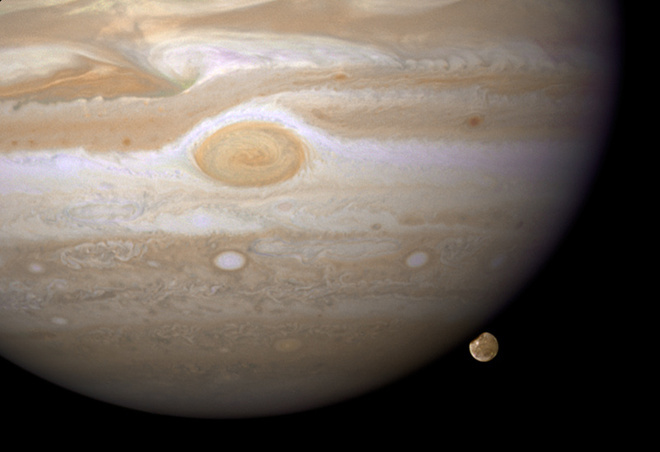 In a conjunction, Jupiter can’t be viewed since it is behind the sun in relation to Earth. Anyway, grab your telescopes tomorrow night to witness bright and beautiful Jupiter on this annual event! Comment below your thoughts or email me at astronoteen@gmail.com. Also follow my twitter account for updates on new blog postings! Hoping everyone here in the east coast is braving the cold weather!!! This is a visual representation of an opposition and a conjunction. Jupiter’s planned location in the constellation, Gemini. Meteors are more popularly known as Shooting Stars. However, prettier than any single meteor is a meteor shower. There has actually been one ongoing since December 28th known as Quadrantids. 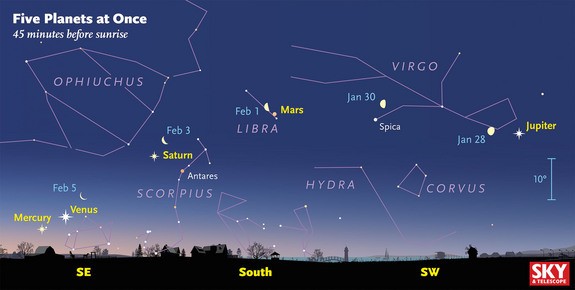 January 3rd and 4th are its peak nights to view. 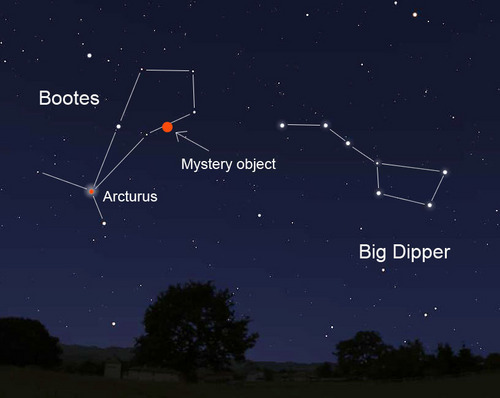 Look around the constellation, Boötes, and be prepared to see up to one-hundred meteors in a single hour!